An alluring apple decor that will easily blend with all types of interiors is something you cannot miss bringing home. Made from good quality polyresin, it will stay in top notch condition for ages. 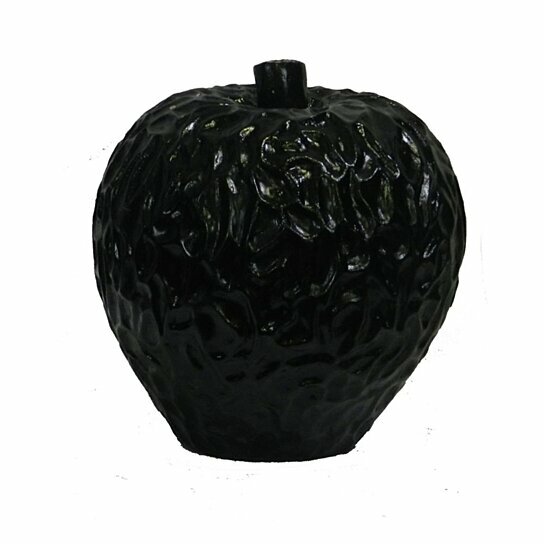 In a matte black finish, this apple decor is small and features a hammered pattern. You can keep it either alone or along with other ceramic fruits for a coordinated look. Display it on the dining table, and it will certainly make it look engaging.